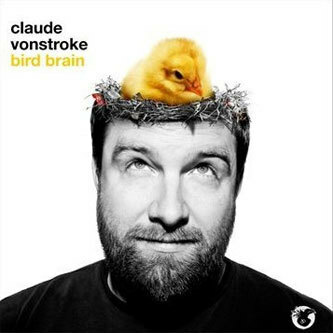 Tech Funk, Tech-House, Jerk House, whatever you want to call it, Claude Vonstroke played no small part in kicking it into being a few years back with his 'Who's Afraid Of Detroit?' track. He'll gladly put his hands up and accept responsibility for it all and returns in 2009 with a followup to that scene's '06 touchstone 'Beware Of The Bird'. Keeping with the feathered theme, 'Bird Brain' runs off 10 tracks of limbre elastic Fech Tunk including the recent single 'The Greasy Beat' featuring fellow funk-chump Bootsy Collins, plus collabs with San Francisco Tech Fu*kers Justin Martin & J Philip. Real fun.